Tiger G2 is the next generation of the popular Wopy-Systems. In the Tiger G2 you’ll find a transmitter with a compact design as well as a big transmitter such as in the previous Tiger-System. As with the tiger, the safety with the Tiger G2 ranks first. The stop function as well as both relais at the recipient are approved in accordance with the Norm SIL3 IEC 61508 and PLe. If your application has a machine ID or a crane ID, it is possible to programm it into the recipient, which will transfer the ID-number as a feedback to your transmitter. 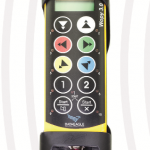 This is safe and useful when you want to control several applications like several cranes with the same transmitter. Every Tiger G2 transmitter can receive feedback from weighing systems or intern feeback from the digital inputs of the recipient. 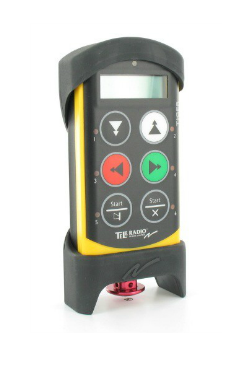 Feedback will be displayed through the indicator light, the display or the integrated hum of the transmitter. 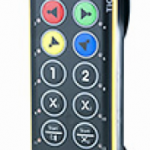 The Tiger G2 software can largely be adjusted to your requirements. Please note that the products of the Wopy series are not compatibal with the TIGER G2 and therefore can’t be used with different versions among themselves!